MBIE’s advice on Labour’s ban on Taranaki oil and gas exploration suggested that global emissions could go up. Could that happen? It depends on what you think’s going on in the rest of the world. Suppose that the whole world were under a binding emissions cap under a global cap and trade regime. If New Zealand produced less natural gas and some stuff that used to be produced with natural gas here instead were produced using coal in China, global emissions would not go up. There’d be a slight decrease in emission permit purchases in New Zealand and a somewhat larger increase in emission permit purchases in China. The price of permits would go up, some lower-valued things that otherwise emitted carbon would stop happening (with those permits then sold back into the system) or some production processes elsewhere would change to be a bit less carbon intensive. The most efficient way of reducing global GHG emissions under a binding global emissions cap-and-trade system is buying and retiring credits, allowing the market to figure out the cheapest way of mitigating emissions. 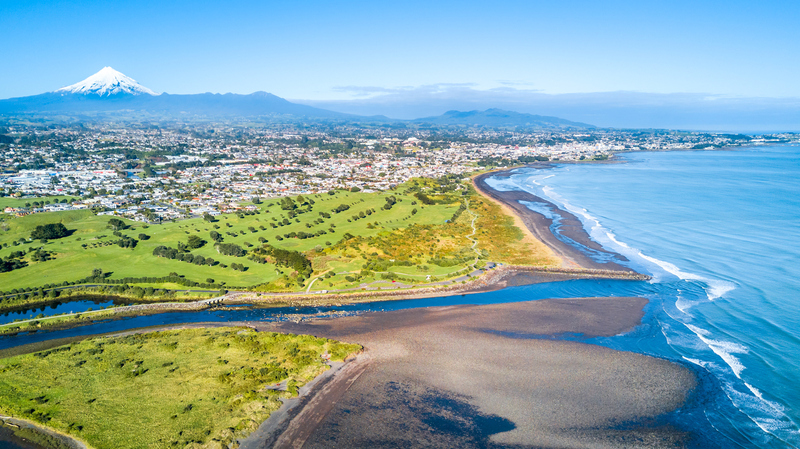 The Taranaki ban instead forces a higher cost way of achieving mitigation, and that makes it harder to reduce global emissions by buying and retiring credits – each credit is now a bit more expensive. Bottom line: it seems plausible that net emissions wind up increasing as consequence, but I doubt that the magnitude is substantial. China has good reason for taking carbon emission costs seriously – they’re projected to incur some of the higher costs of global emissions. The bigger problem is that it’s just a dumb way of mitigating emissions. If you want lower emissions, make sure the Emissions Trading Scheme is working well. Since New Zealand’s ETS is not linked to the international system, check where the price of carbon is lowest among places that have non-dodgy systems, then buy and retire credits from the place where doing that is cheapest. Global warming doesn’t care whether you stop a ton of emissions from New Zealand or from somewhere else; it cares about the total reduction. Buying and retiring credits where it’s cheapest to do so, and where the system is credible, lets you do the most good. Pushing “Carbon Neutral by 2035” or “Fully Renewable Electricity by 2050” are good ways of doing far less good than you otherwise could if abatement costs are lower in other places or in other sectors. It would have been nice if the MBIE paper had spelled more of this out, but I don’t think they’re wrong to worry that emissions could increase. Emissions increase if any cap in China is not currently binding, or if the path to a lower cap becomes more expensive there and consequently slower.